Another week, another new advert on Manchester Metrolink. 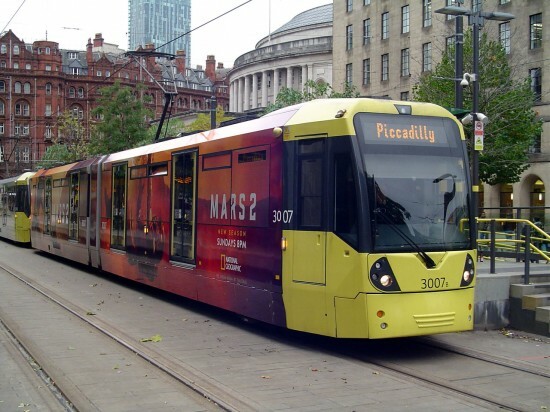 This time around the tram chosen is 3007 with the advertiser being National Geographic’s Mars 2 programme. Images from the series feature on the advert which is – once again – a full vinyl wrap (save for the end of the tram which retains fleet colours) including contravision on the windows. This isn’t the first time that 3007 has carried an advert with it having previously been in an advert for Crunchie.